Bob Gleason’s Christopher Columbus tells us we are all Explorers, so, “Adalante,” just keep going! Don’t be afraid to go out and look for new things, don’t just do what everybody else is doing or what everybody else tells you to do – if you have an idea, follow it, pursue it, test it. Take a chance! Columbus went to sea, rather than go into the family business. He had adventures, he was shipwrecked, he survived. Portugal turned him down, Spain said they wouldn’t fund him, so Columbus was on his way to France for money. That’s when Spain agreed to finance Columbus. And the Explorer was on his way. Not that life aboard ship was always exciting. Bob Gleason’s Columbus invites the audience into the world of the sailor, hauling up sails, scrubbing and polishing. He urges us to fulfill our birthright as explorers, from the day we open our eyes and take a look around, but to also take care of daily life challenges. Not just for Columbus Day anymore. Bob Gleason’s Galileo Galilei tells us not to accept what has always been accepted, to test it. And if you need something that you can’t find, create it yourself. He urges us to make each day a day to learn something new. Gleason’s Galileo also exhorts us to tell the truth, even if it gets you into hot water. We remember the people who tell the truth. Be part of that group. Galileo’s father wanted him to become a doctor so he would make a good living, but with his natural aptitude for mathematics and science, Galileo found other ways to turn a profit. He advanced by improving previous inventions like the thermometer and by coming up with new inventions that he got important people to sponsor. But he also alienated important people by disproving accepted scientific theories and by challenging accepted religious doctrine. Galileo was willing to be punished for his break with science and church, but he recanted to spare his children. 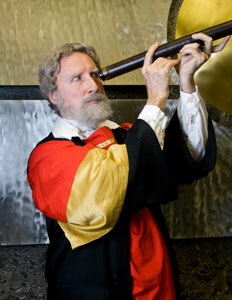 Later, Galileo was vindicated. Galileo is frequently requested in Philadelphia, reflecting the city’s previous role as the center of science and education in the United States. Examples include Rittenhouse behind City Hall looking through a telescope and the Fels Planetarium. William Penn is a Philadelphia treasure and Bob Gleason’s portrayal helps us realize that without Penn there would not be a town in which Benjamin Franklin is famous. Born an unusual fellow to well-connected British parents, Penn sat inside and read books. His was a very different lifestyle from his partying mother and his sea-faring admiral father. Traveling to Ireland and then to France, Penn hears a Quaker preach and, quite literally, a light went on for the young man. Less than pleased by their son’s new faith and advocacy, Penn refused to compromise his beliefs: he was willing to be disinherited, even to go to jail. After the Admiral’s death, Penn inherited land in what came to be known as “Pennsylvania,” traveling to his new property and dedicating his land and his life to the creation of a Utopia. And Penn advertised all over Europe for like-minded peace-seeking settlers willing to go to Pennsylvania as part of his Noble Experiment. William Penn set the precedent for tolerance, equality, and for using financial resources to create true and lasting value. Penn codified his plans for the Pennsylvania Charter of Liberties, which presaged the Declaration of Independence, the Constitution and the Bill of Rights, which is why the United Nations celebrates its anniversary on Penn’s birthday on October 14th. Penn worked hard to create good relationships with Native Americans, learning their language(s) and sometimes paying for land several times to several tribes claiming “ownership.” Penn’s wife, Hannah Callowhill, was an able businessperson, who stepped in as unofficial Pennsylvania Governor from the time Penn suffered a stroke until Penn’s death. The son of a British admiral, Penn founded Pennsylvania, seeking to use government to promote peaceful co-existence and religious freedom. During Penn’s time, as in our own, European nations were always fighting each other. Penn’s essay on the necessity of creating peace in Europe was a blueprint for the League of Nations, the United Nations and the European Union. With Quaker beliefs as the legal lynchpin, anyone, no matter their background or religious practices, was welcome to settle in Pennsylvania, even powerful women who may or may not have been witches. William Penn is best known as the English-born Quaker who founded Pennsylvania. What is less well known is that Penn was also a key figure in the histories of Delaware and New Jersey. 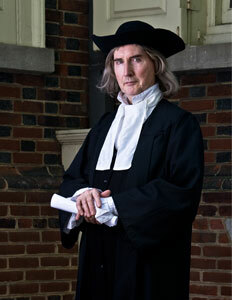 Born in 1644, Penn grew up in a time of great religious and political strife in England. The state religion changed five times during his lifetime. Penn’s father was an officer in the Royal Navy who rose from the rank of Lieutenant to General of The Sea by the time Penn was seven. Penn’s mother was a Dutch Protestant who raised Penn in the Puritan faith. When Penn was 12 years old he had a vision that God was in the room with him and he afterward said that a seal had been placed upon him, calling him to a holy life. During his time at Oxford, Penn found himself drawn to a new movement within the Puritan faith. This Religious Society of Friends spoke of an “inner light”- the same light that Penn had seen in his vision. Penn soon joined these Friends or Quakers as they were called and began to preach. Because Quaker teachings were contrary to the established state religion, Quakers were often persecuted- their meetings broken up and their members jailed. Penn himself spent time in the infamous Tower of London for his teachings and writings. By the 1670s Penn came to realize that he and others like him would never have freedom of conscience in England. Indeed, Penn traveled throughout Europe and found that people everywhere were being persecuted for their religious beliefs. He longed for a place where people would be free to worship as they choose. The death of his father and the subsequent inheritance of a debt owed by the king gave him the opportunity to create just such a place. In 1681 King Charles I granted William Penn the Provence of Pennsylvania. Penn immediately began to make plans for a capital city upon the Delaware River. Philadelphia would be his “holy experiment”; a place where people could worship based on the dictates of conscience, not on the religion of the king. William Penn was, at points, a soldier, courtier, philosopher, preacher, and entrepreneur. The colony he created out of the green Pennsylvania wilderness was unique in many of the liberties we take for granted today. Religious tolerance, freedom from unjust imprisonment, and the right to trial by jury all were granted in Penn’s Charter of Privileges. It is in part because of these freedoms that William Penn’s “green country towne” was chosen as the place where, a century later, the Founding Fathers would meet to debate the issues that would lead to the Declaration of Independence and the Constitution. Abigail Smith Adams was an educated upper class woman whose well-articulated opinions on government, politics and life in general were sought by at least two American presidents: her husband President John Adams, and her son President John Quincy Adams. She embraced her role as wife and mother, passionately embodying the Enlightenment concept of Woman as keeper of household virtue. If Abigail Adams erred, she felt it was on the side of common sense. She would choose the simplest, most direct approach, since she had no time for complicated solutions. Abigail’s biggest causes were education and fairer treatment of women. She advocated education for both men and women, so they would be informed enough to deserve to be enfranchised. Although she could be blunt, Abigail advocated discussion and usually accorded and received respect. She is probably best remembered for her letter asking her husband to “remember the ladies” when enacting new laws. She asked John to limit the power of husbands over their wives by asking husbands to become friends of their wives and protect them, rather than empowering husbands to act as masters over their wives, and thereby continuing to abuse them. Abigail Adams is a woman who calls it like she sees it, and Kim Hanley shows us a woman who will confront something that needs to be addressed, even if it makes her uncomfortable. Abigail is an upper class woman who married a man she respected, a life partner who took her seriously. Although Abigail is sometimes belatedly considered elitist for believing that uneducated Americans had not earned a vote, Kim reminds us that our first Second Lady and second First Lady wanted a knowledgeable electorate able to make informed decisions. Ms. Hanley’s interactive school programs involve audience members who begin with large piles of money that grow smaller with each tax act that the British Parliament passes, illustrating the economic tyranny the colonials faced under British rule. Abigail contrasts this inequality with a look into an egalitarian marriage of two intelligent, articulate people who value themselves, each other and their relationship. John Adams, second President of these United States, was an imperfect, burdened, yet ever-striving man. In him we recognize the desire to be something more, the concerns about what others might see in us, the struggle for balance between our personal opinions and our public persona. Throughout his life, Adams faced many challenging situations, but perhaps what is even more impressive than how he tackled these issues, or his list of accomplishments, is his humanity. While he did not necessarily believe in the innate goodness inside man, he did something remarkable, though sometimes unintentional–he strove for goodness. Peyton Dixon, an interpreter with over a decade’s experience in interpretation and has been a professional actor for over twenty-five years. 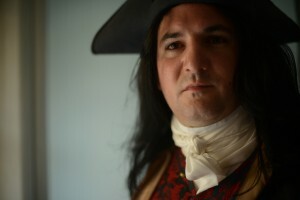 He has been seen as John Adams at the National Archives in Washington, D.C., Wilmington‘s Delaware Art Museum, and regularly at Independence Hall. He is a graduate of DuPont Manual/Youth Performing Arts School of Louisville, Kentucky, and received his Bachelor of Fine Arts in Theatre Performance from Otterbein College of Westerville, Ohio. Peyton has traveled the country, performing in over 40 states (and commonwealths) in the continental United States. In 2004 Peyton was captured by the spirit of both the well-known and the everyday man of the eighteenth century—trying desperately to understand and make their place in new, exciting, and frightening world. He was particularly fascinated and impressed by the powerful yet (at the time) mostly unsung John Adams. His goal is to bring to light the accomplishments as well as the imperfections of John Adams, as well as our other founding fathers: to look beyond the statue, bring them off the pedestal, and see the everyman beneath. John Adams was pivotal to the American Cause. His sharp legal mind enabled him to frame key precepts for the emerging United States, but Adams was shrewd enough to recommend that Thomas Jefferson write the Declaration of Independence in order to secure southern support. Adams wrote the Massachusetts Constitution, which served as the highly-original model for the United States Constitution, in that the Massachusetts document called for three equal branches of government: executive, legislative and judicial. 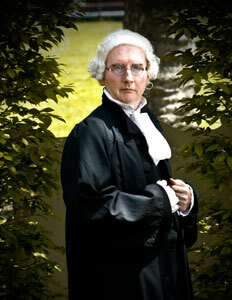 Mr. Adams devoted his outstanding legal talents to the cause of freedom and liberty. His bulldog tenacity and political acumen served him well as Washington’s Vice President, as the U.S. Surgeon General and as the second President of the United States. Adams encouraged an end to slavery and promoted education for both men and women. Joe Doyle’s training and experience enable him to interact with confidence and intelligence with his audience. His reporting background developed his talent for keen observation of the human condition. Mr. Doyle looks like John Adams and has the intellect to portray him with artistic honesty. Adams wrote commentary and Doyle writes plays. Both men are capable managers and devoted husbands. John Adams is an excellent choice for legal events, medical meetings, husband and wife events, political fundraisers, and military commemorations. Through Bob Gleason’s characterization of John Bartram, we learn to go further, to find out about life, to contribute, to have a purpose, and to respect life’s little miracles. As one of those constantly curious fellows who can’t wait to go into the woods and discover something new and to figure out where it came from and what it’s good for, Gleason’s Bartram inspires us to be active Life Participants. Bartram observed how creatures adapted to their environment and his work influenced that environment, even to affecting the British royal succession: When Bartram sent seedlings to the Prince of Wales, the Royal insisted on being present when they were being planted – during rain – and he died. The Prince’s successor was George III. Again, every action has the potential for far-reaching consequences. 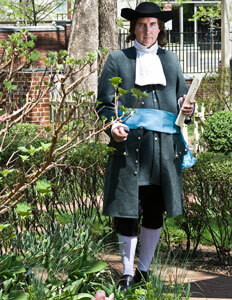 An early advocate of ecology and the importance of living in harmony with nature, Bob Gleason’s John Bartram is perfect for Arbor Day, for Green events, for events with the Audobon Society or Philosophical Society, and for events at Bartram’s Garden. Bob Gleason’s James Wilson is a man deemed the most under-rated Founding Father by American Heritage Magazine, a man long overdue for a come-back, and an example of what this country was about. Gleason invites you to learn about a man who came to America with nothing, a man who became a Supreme Court Justice by dint of his hard work. Gleason insists that you discover the real James Wilson, who is nothing like the weak-kneed toady made famous in the musical 1776. Instead, Gleason shows us a man of impressive intellect who lobbied for the Constitution after it was adopted, but opposed the Bill of Rights because he considered these Rights already included in the Constitution. Born free in Philadelphia, James Forten began working at seven years old following the passing of his father. He attended the African School, run by Quaker abolitionist Anthony Benezet until he was nine. At 14, Forten was serving on a privateer ship during the Revolutionary War. The ship was captured by the British, but as a result of a bond of friendship he had formed, he was held a prisoner, not sold into slavery, until his release 7 months later. At which time he walked from Brooklyn to Philadelphia to rejoin his family. He apprenticed as a sail-maker, became foreman, and eventually bought the sail loft itself, and set about turning the business into one of the most successful of its kind in Philadelphia, thus making himself one of the city’s wealthiest citizens. Forten used his wealth and influence to support many causes, particularly the abolition of slavery. Toward this goal he signed a petition calling for the abolition of the slave trade and modification of the Fugitive Slave Law. With Reverend Richard Allen, he worked to establish the first Convention of Color in 1817. In 1833, Forten helped form and finance the American Anti-Slavery Society. He wrote many pamphlets as “a Man of Color” as well as contributing as a writer and supporter of TheLiberator, an abolitionist newspaper. He continued his efforts for equal civil rights until his passing at 75 years of age. Benjamin Franklin was a true American success story, and he has been called “The First American” by many scholars. Born the 15th of 17 children, he found ways to overcome his humble status, while never apologizing for his beginnings. This tamer of electricity inspired the Declaration of Independence, served as ambassador to the French court of Louis XVI and raised the money to implement American independence. After the Revolution was won, Franklin served as delegate to the Constitutional Convention and signed the Constitution. Besides inventing the Franklin stove, bifocals, and the glass armonica, Franklin’s concern for the public welfare led him to devise the lightning rod and to found the first insurance company, fire fighting company and lending library, among many other public institutions. Tapping his own natural wit and charm, William Ochester’s Benjamin Franklin puts his audience at ease. Bill shares Dr. Franklin’s natural curiosity and exploring spirit, especially in the field of medicine. Bill places a high value upon the authenticity of his characterization of Dr. Franklin. 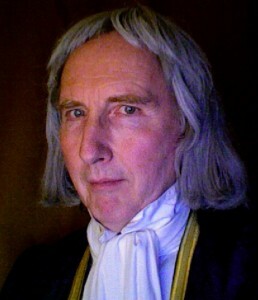 His clothing and manner are remarkably close to those of the Old Gentleman, and he delights in using numerous props to bring Dr. Franklin alive in his presentations. Bill’s spectacles are original (circa 1750), and he will proudly show the “actual key” from the Lightning Experiment, his Poor Richard’s Almanac, and original currency and newspapers of the colonial era. Having been a man of insatiable curiosity and interests, Benjamin Franklin’s presence would be appropriate for all manner of events and gatherings. Affairs involving the Masons, libraries, the Fire Department, school programs and the like are natural venues for Dr. Franklin to be invited to. Guests visiting Philadelphia are delighted to spend time with Dr. Franklin in meet-and-greet situations, and he would be delighted to appear with Thomas Jefferson, George Washington, John Adams or other Founding Fathers, for presentations about the Declaration, the Constitution, and other notable moments of the 18th Century. Bill Robling's Ben Franklin programs vary from interactive student programs to senior group programs. There are also corporate meet and greets, singing, eating and drinking with tavern historians, discussions with colleagues Washington, Adams or Jefferson. School programs are age appropriate, and not only filled with facts but with reasons and circumstances behind the facts. Confidante and Chief of Staff to George Washington, astute lawyer and co-author of the Federalist Papers, first Secretary of the Treasury, Alexander Hamilton was a self-made man who identified as a soldier and preferred to be addressed by his military rank. There may be no documentation for Hamilton studying the sword, but we can be sure he learned to load and fire a musket in St. Croix, where he was born, as well as marching and drilling. Training to be an artillery officer, Hamilton pays for the privilege and becomes Captain of New York’s artillery during the Revolutionary War. Hamilton called for the creation of the Coast Guard, was active in the New York Society for the Manumission of Slavery, and established a firm fiscal foundation for our fledgling country. Eben Kuhns is a Graduate of Virginia Commonwealth University in Richmond, Va. In addition to seasonal appearances at the Maryland Renaissance Festival, he may be found at George Washington’s Mount Vernon Estate portraying George Washington "Washy" Parke Custis and John Anderson, Distillery Manager. American Historical Theatre is delighted to introduce him to new audiences as Alexander Hamilton. • Educational Programs: for Schools, Libraries, Museums and Historical Sites: The Constitution Experience pairs Thomas Jefferson with Alexander Hamilton and dramatizes the conflicting ideas espoused by the two men-a 30-40 minute program plus Q & A; and Educational Seminars: Teachers’ professional improvement workshops • Keynote Speaker/Panelist: Leadership, Self-made Person, Building Consensus, the Art of the Deal • Parades: Participant • Parties: Meet & Greet, Mix & Mingle, Propose Toasts, Pose for Photo Ops • Pair with Thomas Jefferson, Aaron Burr, James Madison, Eliza Schuyler Hamilton, Ben Franklin, John Adams, Abigail Adams, George Washington. Invite John Hancock to mercantile, legal, insurance and philanthropic organization events. For more information, contact American Historical Theatre at 215-625-0986. Bob Gleason’s Patrick Henry teaches us that you can be poor, you can grow up in the backwoods with a limited education, and you can fail more than once, yet you can still ultimately succeed. Mr. Henry kept trying. Early on he got married and had a store, but it failed. His first wife was brought low by the depression that followed her bearing their 6th child. Rather than committing her, Henry kept her in the basement. After his first wife’s death, Henry remarried and fathered 11 children. He had a farm, but he managed to burn it down. This self-taught musician then became a self-taught lawyer. He won an important case when local parsons were paid in cash instead of tobacco. He argued the case and won, gaining a reputation as a skillful lawyer. For this passionate orator, best known for his, “Give me Liberty or give me Death!” it was all about freedom. He was against a federal government, he was against the Constitution, but he was vehemently in favor of what would become the Bill of Rights. Patrick Henry teaches us that one can be poor, grow up in the backwoods with a limited education, fail multiple times, and yet ultimately succeed. Mr. Henry married at a young age and owned and operated a store, which failed. His first wife was brought low by the depression that followed the bearing of their 6th child. Rather than having her committed, Henry kept her in the basement. After her passing, He remarried and fathered 11 children. He had a farm, but he managed to burn it down. This self-taught musician then became a self-taught lawyer. He gained a reputation as a skillful lawyer when he argued a case which resulted in local parsons being paid in cash instead of tobacco. A passionate orator, he is best known for his, “Give me Liberty or give me Death!” speech. He was opposed the formation of a federal government, and the Constitution, but he was vehemently in favor of what would become the Bill of Rights. Doug Thomas is a professional actor with over two decades of performance experience. Local credits include The Philadelphia Shakespeare Festival, Vagabond Theatre and others. He has been immersed in historical interpretation for over 15 years. Other characters in his repertoire include Meriwether Lewis, William Penn, John Paul Jones, Francis Scott Key and a young Governor Livingston. He regularly performs at Independence Hall. Considered something of a dandy, Hercules was chef to George Washington at Mount Vernon, as well as in New York and in Philadelphia. His reputation for culinary excellence was known throughout the colonies. His inestimable talents led him to be a favorite of the Washingtons and as such he enjoyed privileges withheld from other slaves. Allowed to keep profits from the sale of left-over food, he was able to dress extravagantly for his station and walked around freely with his gold-handled cane. Hercules fulfilled his duties with grace and efficiency until one day he disappeared from the Washington’s service, never to be heard from again. Once master of the kitchen, he now was master of his own destiny! General William Howe challenges us to understand the other side of the Revolutionary War. A relative of Great Britain’s King George III, William Howe was sent to end the colonial rebellion quickly and at a minimal cost. England had already spent vast sums of money to develop their colonies’ raw materials and to protect her lands from the French and Indians. Howe was to protect this substantial British investment. William Howe told King George he did not think this war could be won. Howe knew how vast the territory was and he knew how difficult it would be to get reinforcements. Howe would not only be fighting George Washington, he would be fighting all of America and its geography: the land was not flat, there were woods rather than roads, and there was not merely one capital to capture but there were thirteen. In Europe, the British could replace fallen soldiers and gain new supplies. In America, the British were 3000 miles from new men and new resources. To make matters worse, Americans could run away faster than the British could drag their equipment behind them. William Howe was a practical man who didn’t want to take on a war he couldn’t win. And he was a compassionate leader who didn’t want to win battles with high British casualties. By Philadelphia, Howe realized he would have to capture every capital of every colony. A show of force wouldn’t be enough, so he requested 100,000 additional troops. Howe’s timing could not have been worse – France had joined the fray and Britain was now engaged in a world war. George III could not spare the troops. Thomas Jefferson is an American titan who led by charisma and conversation, rather than by coercion. As president, his dinners were personal and intimate, with cuisine created by an internationally-known French chef, after which wine was served and the discussion was then turned to the political. The first United States Secretary of State, the second Vice President, the third President, Jefferson considered these roles as burdens placed upon him. Jefferson was most proud of penning the Declaration of Independence, fathering the University of Virginia, and shepherding the Statute of Religious Freedom: Jefferson considered these achievements his gifts to America. Steve Edenbo offers his audience Thomas Jefferson’s gifts with eloquence. Mr. Edenbo shares Jefferson’s love of reading, writing, and good wine, as well as a love of the outdoors and the need to balance intimate friendships with solitude. Edenbo’s program, created for Independence National Historical Parks, A Wolf by the Ear, clarifies Jefferson’s feelings about slavery, “We have the wolf by the ear, and we can neither hold him, nor safely let him go. Justice is in one scale, and self-preservation in the other.” Edenbo’s school programs confront and engage his audience, bringing middle school students onstage to interact with 18th century toys that embody Jeffersonian concepts. And Mr. Edenbo’s educational seminars and keynote speeches inform as well as inspire. • Keynote Speaker: Individual or panel participants speaking on topics such as Leadership, Teambuilding, Negotiation • Educational Programs for Schools, Libraries, Museums and Historical Sites: A Wolf by the Ear, 30-40 minutes plus Q & A: The Constitution Experience, with Alexander Hamilton, 30-40 minutes plus Q & A; and Educational Seminars: Teachers’ professional improvement workshops • Plays: Original works created and produced by AHT: The Handoff, with George Washington, John Adams, Oliver Ellsworth, Freewoman Ol’ Pattie: 45 minutes plus Q & A and The Constitution: Behind Closed Doors with George Washington and James Madison: 45 minutes plus Q & A • Parties: Meet & Greet, Mix & Mingle, Propose Toasts, Pose for Photo Ops • Parades: Participant • Pair with Dolley Madision, George Washington, Ben Franklin, Alexander Hamilton, John Adams, Abigail Adams, Merriwether Lewis, John Marshall. Lafayette came from an extremely prominent family in France. He traveled to the United States in search of adventure and prestige; Lafayette’s youthful idealism and courage brought him to a session of Congress in Philadelphia. When Lafayette offered to pay his own expenses in the colonial fight for independence, Congress appointed him a major-general. The next day, Lafayette met General George Washington and this was the start of a lifelong father-son relationship between the two men. At the Battle of Brandywine, Lafayette’s first battle, the young soldier sustained a leg wound that took more than 2 months to heal. But he served gallantly and with courage, inspiring others. Young Lafayette was a skilled soldier, an impassioned speaker, an influential motivator, a committed diplomat, a Mason. Ben’s resemblance to Lafayette, his excellent French vocabulary and accent, as well as his quick mind all combine for a dramatic, authentic portrayal of the passionate patriot. Dolley Madison was born into a wealthy Quaker family who moved to Philadelphia to allow their daughter to be educated, perhaps at the Pine Street Meetinghouse. Dolley made great use of this education when President Thomas Jefferson, a widower, tapped her to fill the important, if unofficial, role of White House First Lady. A natural hostess, Dolley was able to converse and entertain guests from the United States and Europe at White House events. She was particularly adept at pairing the most unlikely people and sparking discussion. Dolley reprised this key role when her second husband, James Madison, became President. Her famous turban and feather acted as a lightning rod, enabling her 5’6” husband to find her in a crowd so they could compare notes and perspectives gleaned from their important guests. Dolley’s ability to create rapport with her guests made her one of the most sought-after women of her time. Her wit, charm, education and popularity made her a trend-setter. She experimented with fashion, introduced ice cream to the United States, and hosted children’s events, introducing the Easter Egg Roll at the White House. Elizabeth first portrayed Dolley Madison for the American Historical Theatre in 2007. Her programs showcase the important contributions Dolley made to American culture. She uses wisdom, wit and wiles to put audiences at ease, traits for which Dolley became famous at her White House gatherings. Elizabeth shares Dolley’s youthful enthusiasm, twinkling eyes and wonderful sense of humor. And she shares Dolley’s fondness for children, a love she and her husband share with their adopted child. With his charming wife Dolley by his side, James Madison would serve 2 terms as the 4th President of the United States. Meet the Father of the Constitution and explore the process by which the enduring government of “We the People…” began. A conversation with James Madison is an opportunity like no other to understand how our Nation’s founding principles took shape. Bob Gleason introduces us to Thomas Paine, the mouthpiece of the Revolution. A firebrand who traveled the world to speak out against injustice, Paine wrote in Common Sense that “These are the times that try men’s souls.” His words inspired a tired and disheartened Colonial army of 4500 to continue fighting against a British army that numbered 30,000. This radical’s writings, include The Rights of Man, a work urging political rights for all men because of their innate equality, and The Age of Reason, a deist manifesto. The impassioned author championed the causes of the individual and of the mind, but his works made their author little money. Outspoken, controversial, articulate and committed to social equality, Bob Gleason’s Thomas Paine is certain to spark discussion and evoke spirited discussion. Born in England, the son of a Quaker, unsuccessful in a series of jobs, Thomas Paine was advised by Benjamin Franklin to emigrate to America. Britain’s loss was certainly our gain. Establishing himself as a publicist and then an editor, Paine’s writings provided the fuel for the colony’s break with the mother country. Professing to offer “nothing more than simple facts, plain arguments and common sense” in his much-discussed provocative pamphlet, Common Sense. Paine became even more urgent in his follow-up,The Crisis, by declaring these the “times that try men’s souls” and exhorting his fellow Americans to join the fight for Independence, rather than acting as the “the summer soldier and the sunshine patriot.” Lacking the formal training of Jefferson or Adams, Paine’s direct, passionate words stirred the political pot, providing effective propaganda for the Cause. Paine led by example by contributing to the national bank. Standing against gratuitous bloodshed, Paine was jailed for opposing the execution of dethroned king Louis XVI. While in prison, his Age of Reason began publication, praising the Age of Enlightenment, but causing him to lose favor because he was branded an atheist. Returning to the United States on Thomas Jefferson’s invitation, Paine returned to America, but discovered his work during the Revolution had been largely forgotten. Able teachers, speakers and writers, both Gulick and Paine remind us to recognize our rights as human beings and to take responsibility for ensuring our freedoms by taking action. Known for the written word, Paine was also quite the singer/songwriter. For instance, he wrote new words to old favorites, like “Liberty Tree.” Steve Gulick offers audience members of all ages an opportunity to join him in Paine’s version of the song. Like AHT’s Bob Gleason, the artist Charles Willson Peale is fascinated by everyone and everything in the world around him, and they both enjoy collecting. Gleason’s Peale exemplifies the successful activist, someone who sets their mind to something and achieves that goal. Although apprenticed as a saddlemaker, Peale had a broken watch that he was able to fix, so he put out a shingle as a saddlemaker and a watch-repairer. Peale saw oil paintings, bought materials and taught himself to paint before traveling to Europe to study with Benjamin West. 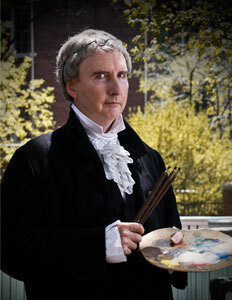 It was said that Peale painted people as they ought to be, portraying Revolutionary War heroes as heroes. Peale had an organized mind and he knew everyone. After the Revolution, Peale was given the task of putting Philadelphia Tories out of their homes in order for Patriots to take possession, only to be attacked by mobs after the British occupation ended. This led to depression, but it didn’t stop him. Peale died carrying his luggage in the snow, returning from a trip courting his 4th wife. Bob Gleason’s Charles Willson Peale is perfect for gatherings of artists, collectors, veterans, members of the Society of the Cincinnati and events sponsored by museums. “Molly Pitcher,” born Mary Ludwig and married to William Hays, is best known for participating in the Battle of Monmouth, taking her husband’s place when he fell. Hers is the story of a colonial woman whose financial circumstances were too dire to permit her to remain home while her husband fought in the Revolutionary War. Molly’s choice was between staying at home cooking and cleaning for others (if she could find such paid work) in Carlisle, Pennsylvania, or going with her husband and cooking and cleaning for him on or near the battlefield. Molly was one of many women who followed the army, performing valuable services that lifted the morale of the soldiers, as well as keeping them clean and fed. History has maligned such women, labeling them camp followers and even prostitutes. But this is unfair: it was better and more respectable for these women to stay with their husbands, rather than staying home. Kim Hanley’s Molly Pitcher reminds us what life was like during the Revolutionary War for women with limited financial resources. Kim’s Molly is not a small, delicate creature, but a woman who did what she had to do at the time, what she felt had to be done. At the Battle of Monmouth, one day in a life that spanned decades, Molly’s husband falls in battle and Molly takes his place, probably bending down and passing cartridges. A shot passed between her legs, carrying away the lower portion of her skirts and Hanley’s Pitcher quips, “It’s a good thing it didn’t go any higher or it would have taken away something I really valued.” And then Pitcher keeps on working. Ms. Hanley shares this event with her audience, as well as creating an interactive day in Molly’s kitchen using 18th century kitchen implements to mimic articles of war. Ms. Hanley completes the experience with campfire songs and dances in her program. 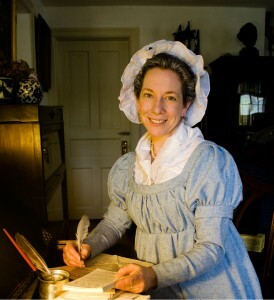 In 2015, with a grant from the Philadelphia Cultural Fund, Ms. Summerfield was selected by American Historical Theatre to study with the curators and collection at the Philadelphia Landmarks’ Powel House; the home of Philadelphia’s Revolutionary era Mayor Samuel Powel and his wife Elizabeth Willing Powel. Mrs. Powel was Philadelphia’s most renowned hostess and her Salon engaged the likes of John Adams, Benjamin Franklin, Thomas Jefferson, and her very dear friends, George and Martha Washington. Famous for sewing the first U.S. “stars and stripes” flag, Betsy Ross was born Elizabeth Griscom into a middle class Quaker family. Betsy was educated at a Quaker school before being apprenticed to an upholsterer. Betsy married first husband John Ross, a fellow apprentice, and was subsequently “read out” for marrying outside her faith. The Revolutionary War took its toll on the couple: business was difficult because fabrics were in short supply and then John was killed while serving in the Pennsylvania militia. Betsy met and married sea captain Joseph Ashburn, maintained the business and raised the couple’s two daughters while her city and even her home were occupied by the British. Then her husband died in a British prison. Betsy married John Claypoole, a man with serious health problems exacerbated by his stay in that same British prison. The couple were members of the Free Quaker congregation and had 3 daughters. Betsy’s five daughters carried on the upholstery business, a difficult and even tedious trade. During the War, Betsy was said to have sewn the first US “stars and stripes” flag. Once the War was over, America was its own country, Philadelphia was a major port and there was a new market for flags. Kim Hanley as Betsy Ross is an ultimately successful, if not hugely wealthy, woman able to maintain a business under the most difficult of conditions. This woman, one of the most popular characters in American history books, gained fame she would never have sought as a Quaker woman for creating the first American flag. But Hanley shows us why Ross should be celebrated for being a woman participating in the workforce, for raising 5 daughters, for supporting the Revolutionary Cause. Ms. Hanley helps her audience absorb and relate to the Quaker faith, as well as to understand and appreciate women’s work in the 18th century. 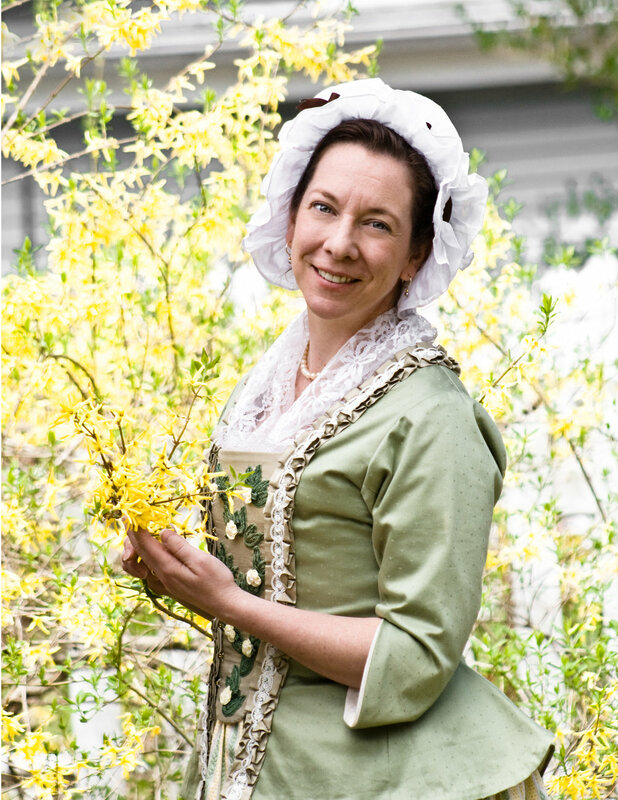 Kim Hanley is a gifted costumer and seamstress in her own right and demonstrates Betsy Ross deftly cuting a 5-pointed star. By tracing the American flag’s historical components, Ms. Hanley gives our flag, and our country, its place on the continuum of history. Bob Gleason’s Benjamin Rush shows us a man who was really curious about what made things work. More than that, he was an extremely caring and conscientious man who wanted to make things work better. Besides being the first professor of chemistry in America and having an active medical practice, Rush was an ardent abolitionist. He published his anti-slavery views, helped organize the first anti-slavery society in America, and became the society’s first president. Later, Rush would also champion the cause of women’s education. Rush urged Thomas Paine to write a pro-independence pamphlet using simple language that the common person could understand and even gave Paine the title for his tract: Common Sense. As Surgeon General for the Revolutionary Army, Rush was called on to treat wounded soldiers without having adequate supplies, and was forced to find solutions quickly and under extreme circumstances. Never one to run away from difficult situations, Rush stayed in Philadelphia during the Yellow Fever epidemic, caring for the poor, tending the sick. Benjamin Rush instituted many reforms in the care of the mentally ill while serving as senior physician at Pennsylvania Hospital and became known as the Father of Psychiatry. Annis Boudinot Stockton was the wife of Richard Stockton, signer of the Declaration and later president of Princeton College, and she was the sister of Elias Boudinot, active participant in the Revolutionary War, who served in the Continental Congress. Annis’ home in Princeton, New Jersey was a center for political discussion, as well as a gathering place for artists. Annis set an example of an educated woman of her time, distinguishing herself as one of the first published American women poets. Her poems about George Washington were very popular with the General and with the General’s adoring public. Bob Gleason’s Gilbert Stuart is a portrayal of a prickly, opinionated artist who brooked no interference and frequently insulted people. Stuart might even keep the picture of you he had painted (and for which you had paid him) if he didn’t like you. Or, like the Henry Knox portrait, hang the painting as a gate in his barnyard! Stuart was naturally talented, but since he didn’t have to work hard at it, he didn’t appreciate what he had. Stuart had a keen eye for physical details that conveyed human character and Stuart would rather be right than be popular. Frederick von Steuben, a Prussian-born aristocrat, was between wars in Europe, so he was willing to come to America, a situation where his skills could be put to good use. The aging (for a soldier) professional needed to distinguish himself, to make a splash, to earn a good pension. Benjamin Franklin beefed up von Steuben’s resume and wrote him a recommendation that the Baron took to George Washington. Hired by Washington to coordinate his troops, von Steuben found the American military organization very different from European armies. In Germany, you gave an order and it was obeyed. In America, you gave an order and your soldiers wanted to know why you gave that order, so you explained and then the order was obeyed. In Germany you had one soldiering style, while in America each colony had a different style. Undaunted, von Stueben cared about his soldiers, cared about this opportunity to contribute to something real. Without George Washington, America might have had a Napoleon to lead her troops and then her government. But the General, and future First President, remained faithful to the principles for which he and his country had fought. Leading by example, Washington resigned his commission as Commander in Chief of the Continental Army and then declined a possible third term as President. His well-earned retirement to his beloved Mount Vernon lasted less than 3 years, but he and Martha enjoyed living beneath “fig and vine” together until his death in 1799. Raised on a dairy farm, John Lopes can appreciate the connection George Washington felt for his land. And trained to ride, dance and elegantly cross swords, Mr. Lopes skillfully conveys Washington’s talents as a soldier, a leader, and a Virginia gentleman. Standing well above 6’, John Lopes portrays George Washington as an impressive, thoughtful, man of action. A commercial for the National Constitution Center in Philadelphia. From WhitmanCoinCollecting.com General George Washington (John Lopes) mustered a new group of recruits in the Continental Army at the Whitman Coin & Collectibles Philadelphia Expo today. The young troops learned commands used in Washington's time, fired a volley on their muskets, then marched from the front of the Bourse to Kids Korner. George Washington’s credo was deeds, not words. Washington may not have been the greatest thinker of his day, but he took the concepts of the greatest writers and speakers and translated their ideas into actions. This was in contrast to his contemporaries, who may have written and uttered the most beautiful words, but did not act on them. Washington was not a perfect man: he was a work in progress. For instance, he worked hard to control his temper. And he came to deeply regret the institution of slavery, calling it “the abominable subject.” Unlike Jefferson, however, Washington eventually freed his slaves. Martha Washington's remarkable, and mostly untold, story helps audiences to understand the unique role women played in the building of our nation. Martha Washington was instrumental throughout the revolutionary war. Joining her husband at his winter encampments, she provided stockings and other necessaries to the soldiers at Valley Forge and elsewhere. Her most valuable contributions were, undoubtedly, those of her kind ministrations to the soldier’s morale. As a first lady, though she felt imprisoned by the role and longed always for the sweet country life at Mount Vernon, she never showed it, and was “determined to be cheerful despite [her] circumstances”, which on many occasions took a stalwart resolve. Like Martha Washington, Pat Jordan grew up on a family farm. And she could run the farm, too, with her training in business. Pat also shares the First Lady’s humor and wit. Both women share a flair for fashion and each creates beauty with flowers, jewelry and a sincere appreciation for the gifts each person uniquely brings. And like Martha, Pat loves her husband madly. Born in New York (1723) Livingston, a graduate of Yale, went into law, but after years in New York politics, he and his family moved to Elizabethtown where they built an estate (Liberty Hall). Returned to politics by the Revolutionary War, he was a member of the first and second Continental Congresses. In 1776, he left Congress to command the New Jersey militia, and later that year he was elected the first governor of our state. Livingston spurred New Jersey’s rapid ratification of the Constitution, conducted agricultural experiments, and was also active in the anti-slavery movement. Since 1980, Bob Gleason has presented programs featuring nearly 150 historical figures, stretching over 2000 years of history. These programs have taken him from Washington D.C. to San Diego, California, and from El Paso, Texas to Milwaukee, Wisconsin (21 states, so far). He has performed at the White House Visitors Center, The Smithsonian Institution, Constitution Hall, George Washington’s Mount Vernon, Ford’s Theatre, Independence Hall, The National Constitution Center, The Union League of Philadelphia, Valley Forge National Park, Federal Hall in NYC, numerous historic sites, and a long list of schools, libraries and other venues public and private. He lives near Lansdale, PA with his wife of 35 years, and a large stock of costumes, props, and books. The first published African-American poet and the first African-American female published writer, Phillis Wheatley’s life began in West Africa. Taken from her home on a slave ship when she was only 7, she was bought by the affluent and well-connected Wheatley family of Boston. The young girl looked so pitiful and so sickly and was “uncommonly intelligent,” so Mrs. Wheatley educated Phillis and had her work inside the house. She was further separated from other slaves because the Wheatleys didn’t let her associate with them. Phillis Wheatley was between two worlds, belonging to neither. This was made even more apparent when Phillis was not named in Mr. Wheatley’s will. Yet, through the Wheatleys she had met Benjamin Franklin, attended balls, written and published poetry. One poem, dedicated to George Washington, elicited a note from Washington who said he’d visit if he came to Boston. When Washington was in Boston, he sent soldiers to get her and was surprised to discover the poet was a black woman. And he might have been surprised to learn that although Ms. Wheatley was smart and educated and talented, with connections and published works, Phillis died at 31 in poverty in a boarding house with little heat. He would probably not be surprised that her words live on. The world would be less beautiful, less inspired, without Phillis Wheatley. Dr. Daisy Century, also a published author, portrays this talented poet with respect and flair. Bob Gleason invites you to meet Reverend John Witherspoon, a man considered to have more presence, with the exception of George Washington, than anyone of his time. All this man had to do was to walk through the door and you immediately felt that you were basking in the glow of someone important. This imposing man was intelligent, hard-working and committed to being useful. Asked to head Princeton University, Witherspoon initially turned down the opportunity in deference to his wife’s desire to remain in Scotland. Then Richard Stockton implored Benjamin Rush to urge Mrs. Witherspoon to reconsider this chance to mold and/or educate America’s up-and-comers. Mrs. Witherspoon reconsidered. Witherspoon loved America from the moment he arrived and he thrived on the challenges he faced at Princeton, before he turned his attention and his talents to American politics. He went to the Continental Congress and declared that the country isn’t just ripe for independence, it is fairly rotten for the lack of it! Reverend Witherspoon’s influence was felt for generations, whether he was inspiring Princeton students, officiating at the marriage of Benjamin Rush to Richard Stockton’s daughter Julia, or helping to pass the Declaration of Independence.